Starbucks Corp., the nation's largest coffee retailer, had filed a lawsuit against Wolfe’s Borough Coffee, Inc. ("Wolfe's") alleging trademark infringement and trademark dilution over Wolfe's use of the “Mister Charbucks” or “Mr. Charbucks” marks to sell coffee. The district court originally found no likelihood of dilution under the federal dilution law in effect at the time Starbucks filed its complaint (the Federal Trademark Dilution Act of 1995 (“FTDA”)). However, in response to the U.S. Supreme Court’s decision in Moseley v. V Secret Catalogue, Inc., 537 U.S. 418 (2003) that the FTDA required evidence of actual dilution, Congress in 2006 enacted the Trademark Dilution Revision Act of 2006 (“TDRA”), Pub.L.No. 109-312, 120 Stat. 1730 (2006)(now codified at 15 U.S.C. § 1125(c)), effective October 6, 2006, and thereby enacting a likelihood of dilution standard for claims of dilution under federal law. When the district court’s decision was appealed to the Second Circuit Court of Appeals, the Court of Appeals vacated the district court’s decision and remanded the case back to the district court for reconsideration of the dilution claim in light of the changes to federal trademark dilution law made in the TDRA. See Starbucks Corp. v. Wolfe’s Borough Coffee, Inc., No. 06-0435, (2d Cir. Feb. 17, 2007). Articles on the original decision can be found here and here. On June 5, 2008, the U.S. District Court for the Southern District of New York once again concluded that the Charbucks Marks does not dilute Starbuck’s famous mark even under the TDRA. See Starbucks Corp. v. Wolfe’s Borough Coffee, Inc., Case No. 01 Civ. 5981, 2008 U.S. Dist. LEXIS 44147 (S.D.N.Y. June 5, 2008). A copy of the decision can be downloaded here (courtesy of Seattle Trademark Lawyer ). The district court, citing in large part to its prior findings of fact, most of which were still applicable, applied the factors set forth in 15 U.S.C. § 1125(c) for likelihood of dilution by blurring and dilution by tarnishment. The question of similarity is also highly relevant in the dilution context. Plaintiff's and Defendant's marks are far from identical. "In order to establish dilution by blurring, the two marks must not only be similar, they must be 'very' or 'substantially' similar." . . . . There is no evidence that Defendant uses "Charbucks" as a stand-alone term. Rather, it is used with "Mr." or "Mister" on Defendant's distinctive packaging or in product lists. For these reasons, the marks at issue here are not substantially similar. This dissimilarity alone is sufficient to defeat Plaintiff's blurring claim, see Hormel Foods Corp., 73 F.3d at 506, and in any event, this factor at a minimum weighs strongly against Plaintiff in the dilution analysis. This statistic says nothing, however, about the likelihood that those respondents' negative impression of a coffee called "Charbucks" would affect detrimentally their perception of Starbucks. It would be just as reasonable to conclude that their negative impressions of a hypothetical coffee named "Charbucks" were based on their strong allegiance to Starbucks, something Defendant observes by noting that 71% of those respondents had a positive impression of Starbucks. Additionally, the record at trial established that Defendant's product is a high-quality coffee with rigorous quality control mechanisms. See Tr. Trans. at 82:7-84:15, 86:8-87:1, 89:6-15; see Starbucks, 2005 U.S. Dist. LEXIS 35578, 2005 WL 3527126, at *6. Thus, looking beyond the inferences argued from the hypothetical phone survey, the record demonstrates that the Defendant's actual "Mr. Charbucks" coffee product is of such a quality that its association with Starbucks is unlikely to be damaging. 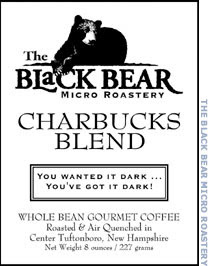 The court added that according to the evidence of record, Wolfe’s "Mr. Charbucks" coffee products are of such a high quality that its association with Starbucks would unlikely be damaging. The court concluded that Starbucks had not demonstrated a likelihood of dilution by tarnishment necessary to obtain injunctive relief. The court simply adopted and reinstated its prior findings of fact and conclusions of law in December 2005 with respect to Starbucks’ federal trademark infringement and unfair competition claims, state trademark dilution claims, and common law unfair competition claim. Click here for comments by Seattle Trademark Lawyer.